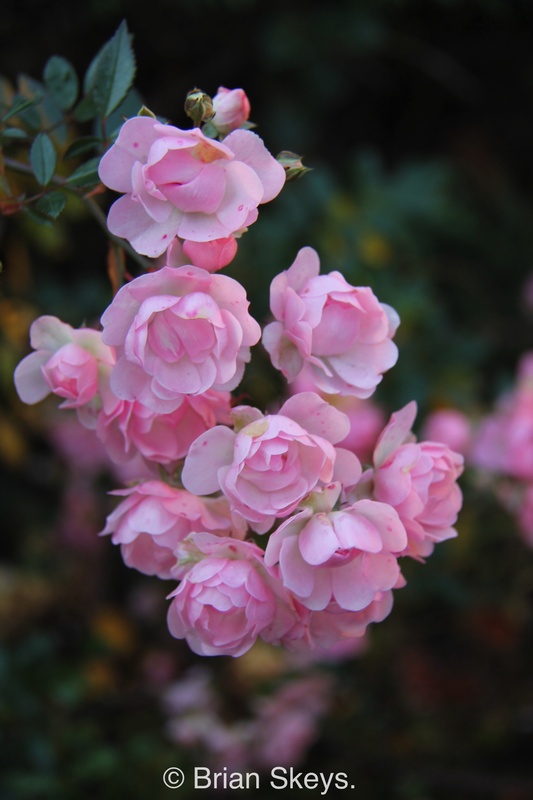 I am joining Chloris and her many followers in posting my Top Ten for November, please visit The Blooming Garden to see what their Top Ten are. 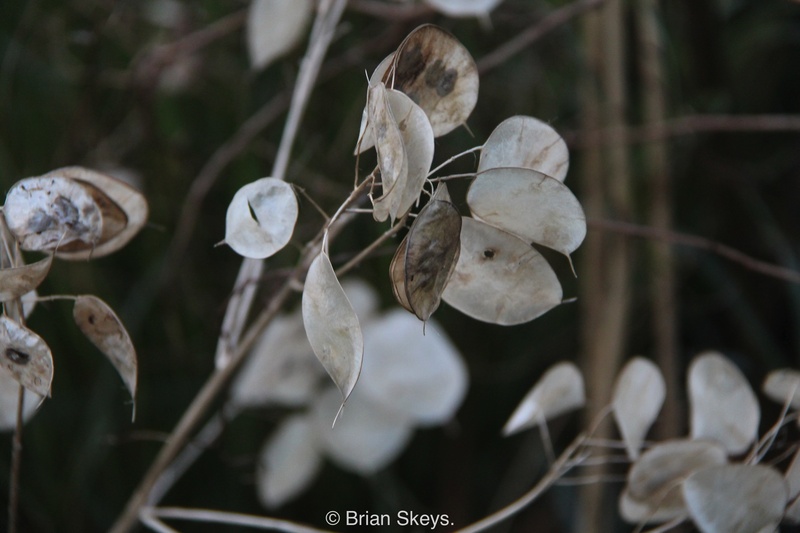 Number one, the seed heads of the Lunaria, which provides a silvery shine in the low November sunlight. 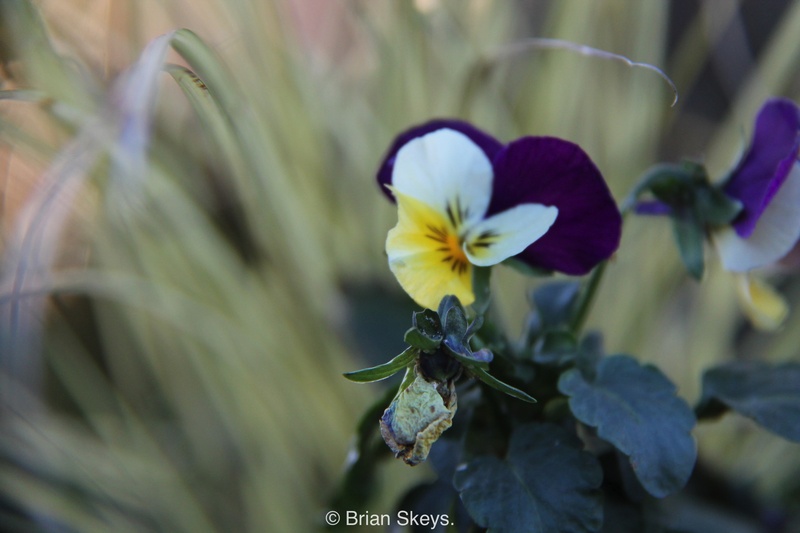 This plant provides interest through out the whole year, from the young leaves with their maroon spots, the dark purple flowers and now the seed heads. 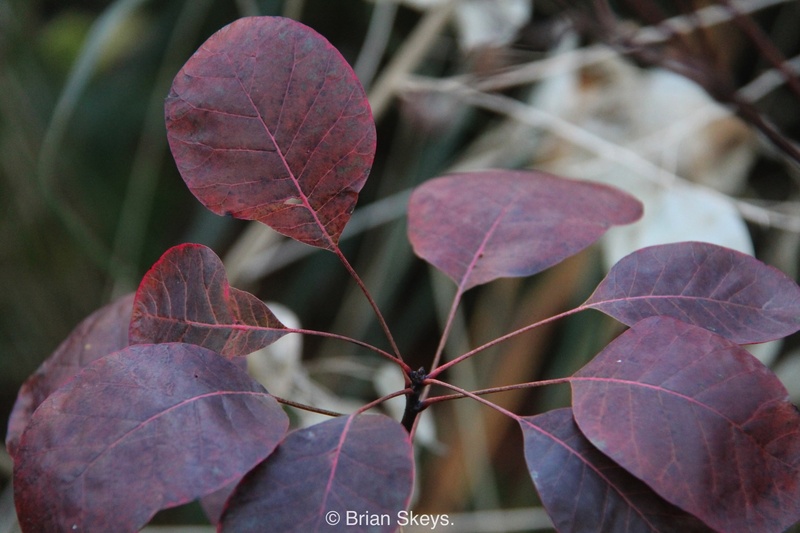 …growing in front is a young Cotinus, we lost a mature one a few years ago, therefore we are looking forward to this one developing and flowering in the future. These two ‘Grasses’ make a striking feature at the end of the pebble river in the Oriental Garden. I originally saw this plant combination when visiting The Bressingham Gardens, Nr Diss, Norfolk. 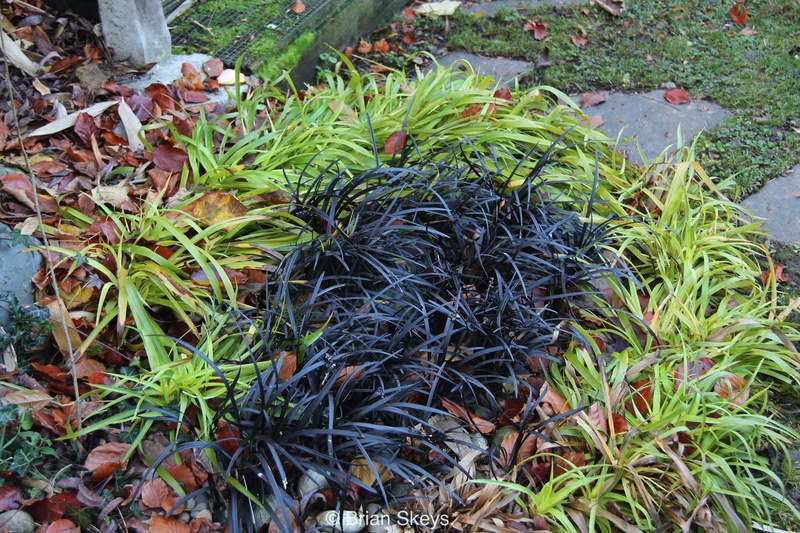 Hakonechloa macra ‘Aureola’, hakone grass and Opheapogon Nigrescens, black mondo grass. 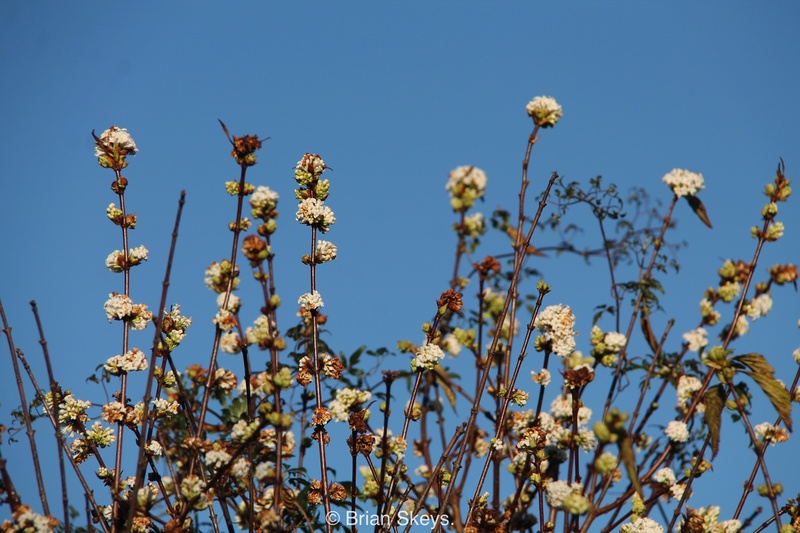 This Viburnum, in the White and Green Garden, is one of the earliest flowering shrubs in the garden. 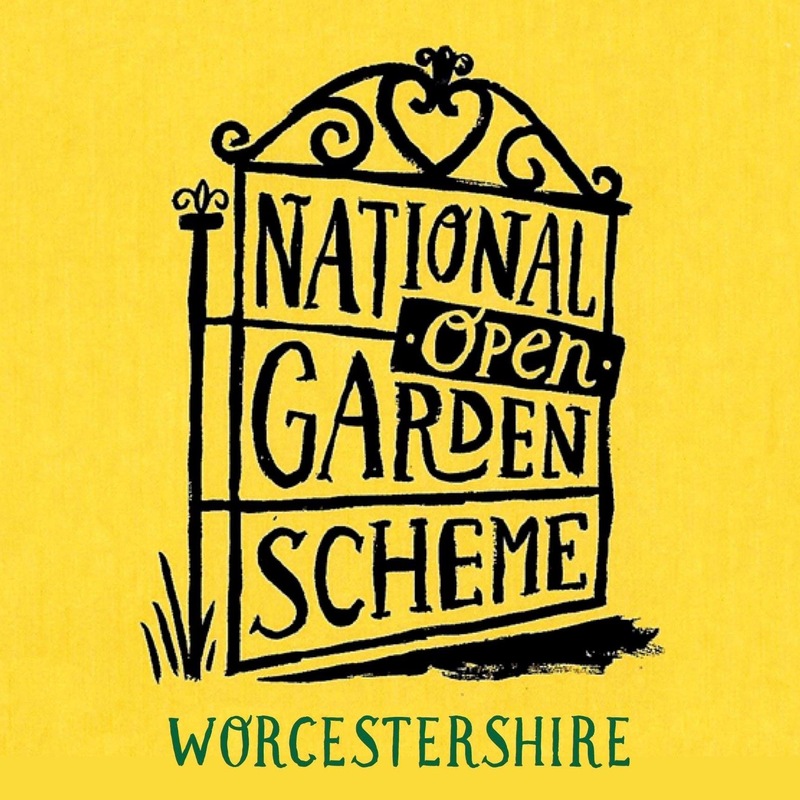 It flowers from early autumn through to late spring, and looks particularly good when there is a blue sky behind it. 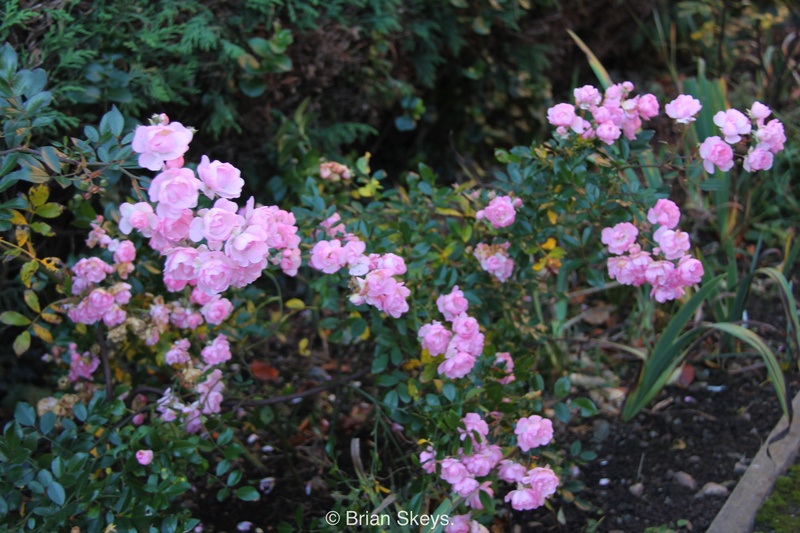 Anna from the The Greentapestry was recently singing the praises of this rose, mentioning that it flowers from July to November. 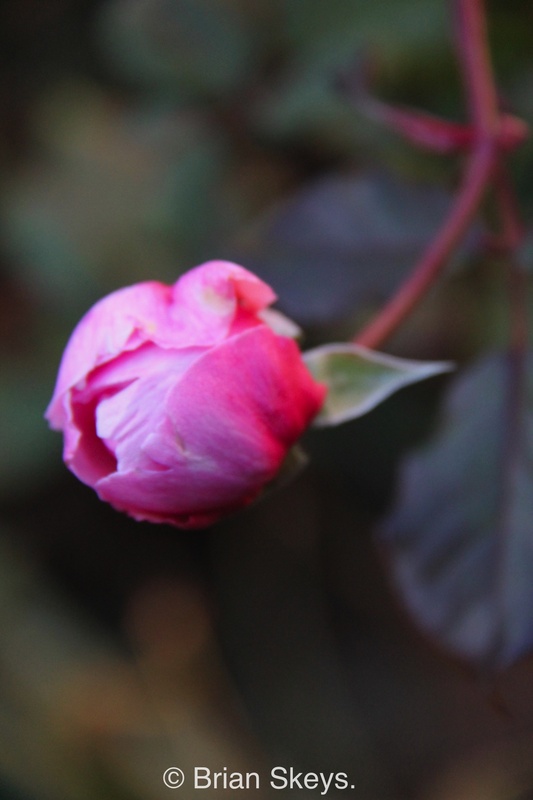 …along with ‘ ‘Geoff Hamilton’, I am hoping this bud will open. 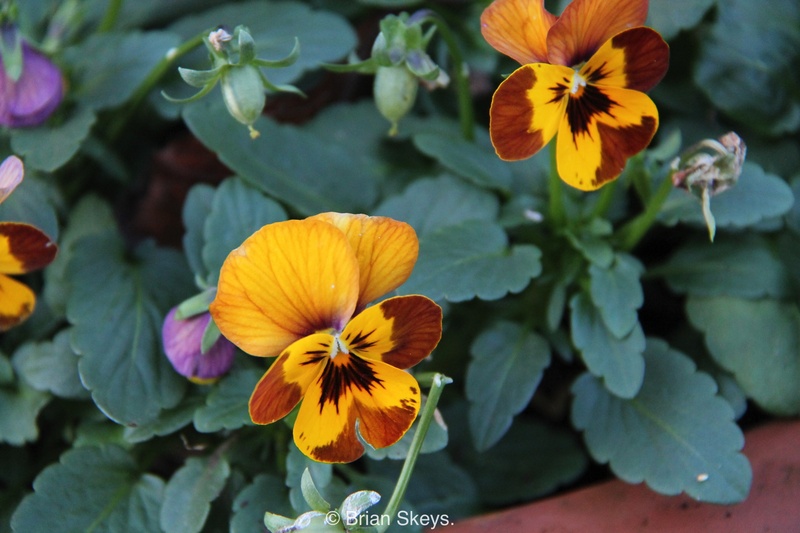 I will always have Viola’s in the garden, whether it’s the diminutive ‘Heartsease’ which I grow from seed, (it does also self seed), or ones purchased from garden centres to provide colour through out winter. 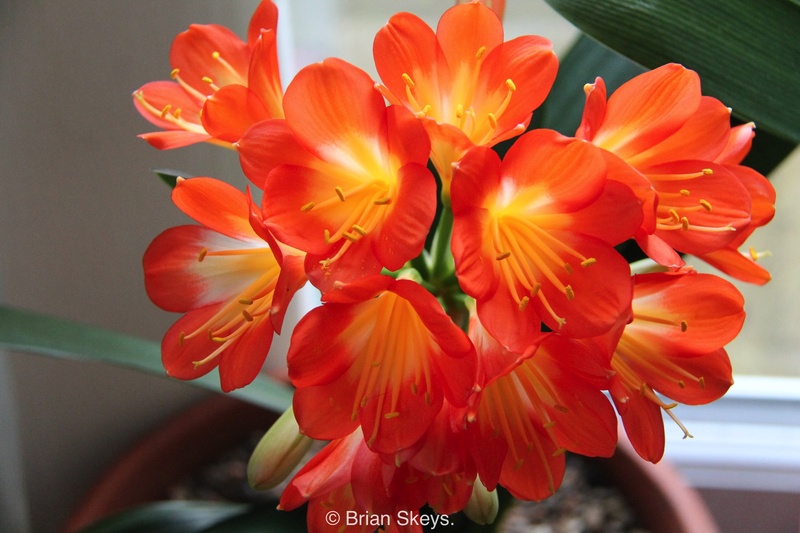 We were given two Clivia three years ago, one flowered the first year, none the next year and one, (yippie!) so far this year. 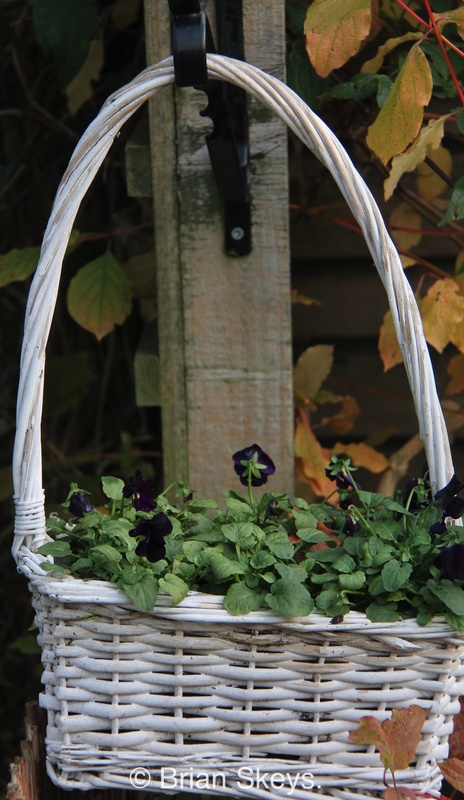 I am not sure if Number ten qualifies for a November favourite, although it is one of mine and it is in the garden. 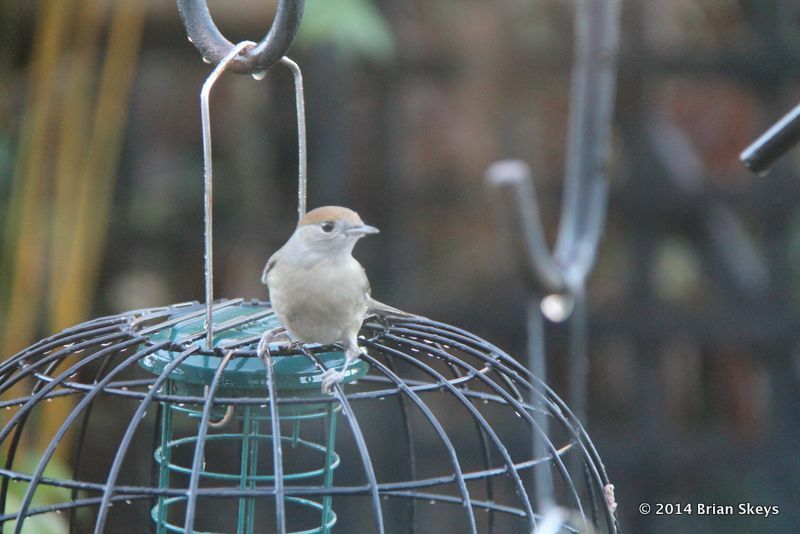 The first sighting, today, of the female Blackcap on the bird feeders. I always like to see the arrival of this aggressive little bird, she always arrives before the male and tries to defend the feeders from all comers. the down side is that it heralds the arrival of winter weather, ‘Up North’ which will eventually make its way here. This is a picture from 2014, they are quite nervous and therefore difficult to photograph. You can see more ‘Birdie” pictures by clicking the Wildlife Category. That is my Top Ten in Our Garden@ 19, for November, I wonder what will be around for December?